Nose (87): more than average. honey, malt, citrus, vanilla, spices, toffee, chocolate. Palate (88): . honey, spices, citrus, vanilla, wood, smoke. So based on other whiskies I have already tasted I rate this Spirit of Hven Seven Stars N�2 Merak with 87 points over 100. Palate (90): . honey, wood, spices, pepper, cinnamon, smoke, citrus, cocoa. 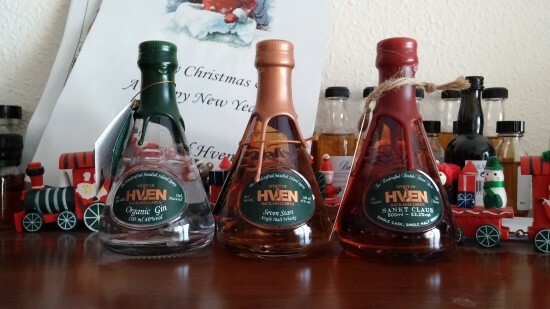 So based on other whiskies I have already tasted I rate this Spirit of Hven Sankt Claus with 89 points over 100. Lovely whiskies. Just a bit below the point of awesomeness but pretty nice nonetheless… I just ( and still ) complain about the price that make them less interesting ( in a bang for the buck way of life ). I understand that it is a small batch hand crafted whisky but still… anyway I find most of recent releases just too expensive for my pocket, so perhaps it is just me.